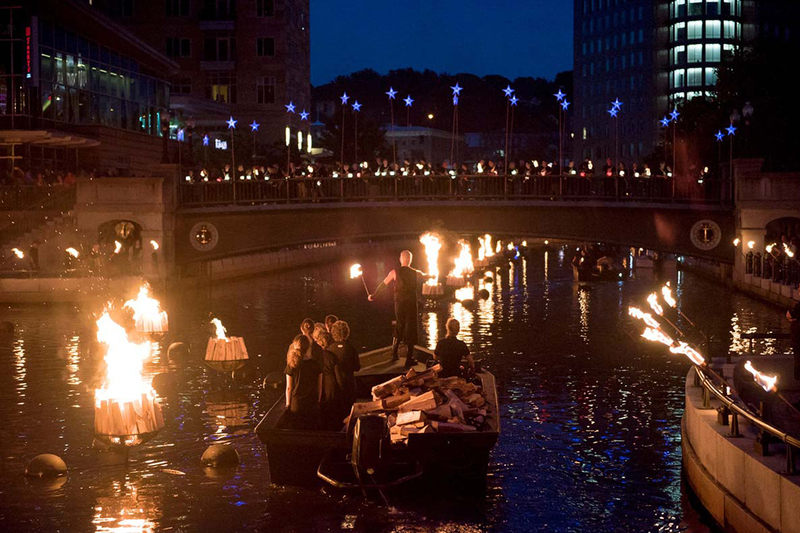 WaterFire Providence has received a $200,000 grant from the Rhode Island State Council on the Arts under their State Cultural Facilities Program and a $150,000 grant from the Champlin Foundation for updates to the historic WaterFire Arts Center building, located at 475 Valley Street, Providence, RI. 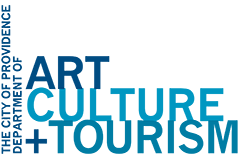 These grants will support Main Hall enhancements including acoustical treatments, blackout shades, lighting, HVAC modifications, and audio/video equipment installations. In May 2017, WaterFire Providence moved into the WaterFire Arts Center, the organization’s first permanent home and a large, multipurpose arts venue and unique cultural resource for Rhode Island. 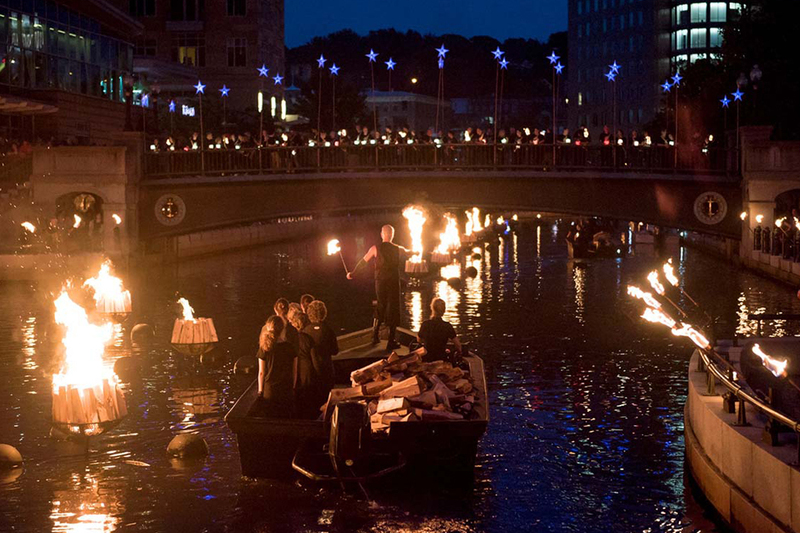 The WaterFire Arts Center is a critical component of WaterFire’s strategic plan with the objective of sustaining and growing the organization’s significant economic and cultural impacts for the next 25 years. The Providence Singers has released Requiem for the Living, its fourth recording in the American Masterpieces series. Requiem for the Living is a 2013 work for chorus and chamber orchestra by the American composer Dan Forrest, which the Providence Singers introduced to New England audiences in November 2014. Forrest has received considerable critical acclaim for his choral, orchestral, instrumental, and wind band works. Requiem for the Living, commissioned by the Hickory Choral Society in North Carolina, is his best-known work and continues to be performed throughout the United States and internationally (Pretoria, Manila, Hong Kong, Florence). At its core, Forrest has written, a requiem is a prayer for rest, traditionally for the deceased. The five movements of Requiem for the Living, however, form a narrative aimed also at the living and their continuing struggle with pain and sorrow. The work explores a range of musical and emotional motifs from quiet and contemplative to harshly critical, drawing inspiration from scripture (Proverbs, the Book of Job), from views of Earth taken by the International Space Station, and, for the Sanctus, from images of the universe (“Pleni sunt caeli”) gathered by the Hubble Space Telescope. 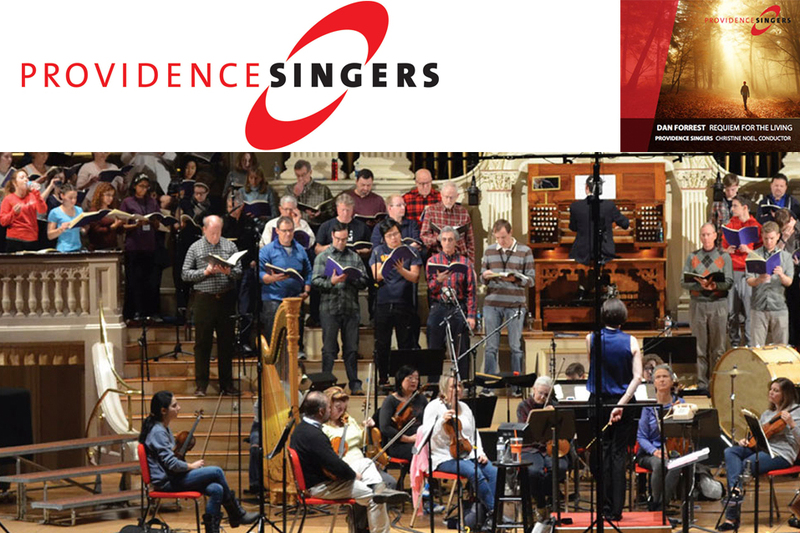 The Providence Singers recorded the work earlier this year at Mechanics Hall in Worcester, Mass., and celebrated its release at the group’s regular Tuesday rehearsal December 5, 2017. PBS President and CEO Paula Kerger announced NATIVE AMERICA, a new four-part series from Providence Pictures that will premiere Fall 2018 on PBS stations nationwide. 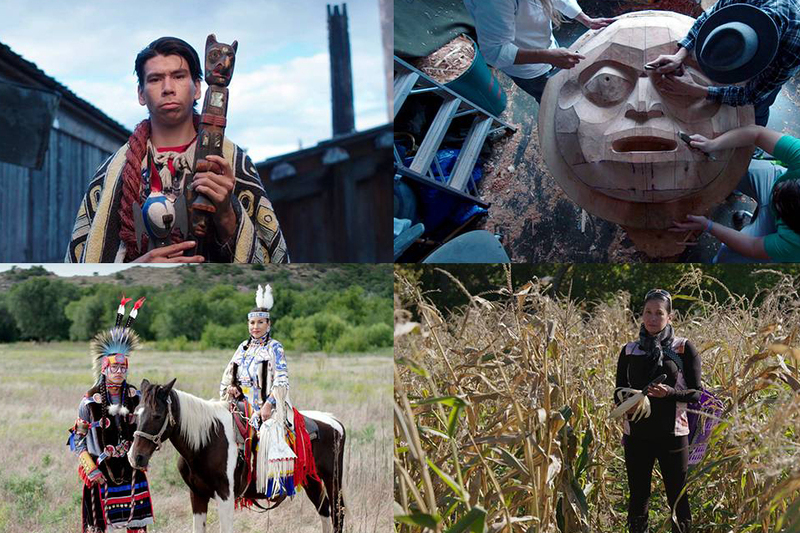 Weaving history and science with living indigenous traditions, the series brings to life a land of massive cities connected by social networks spanning two continents, with unique and sophisticated systems of science, art and writing. Made with the active participation of Native- American communities and filmed in some of the most spectacular locations in the hemisphere, NATIVE AMERICA reveals an ancient and still thriving culture whose splendor and ingenuity is only now beginning to be fully understood and appreciated. Providence Pictures believes television has the power to change the world. For twenty years, Providence Pictures has produced programs for the most prestigious international broadcasters — PBS, Discovery, History, National Geographic, BBC, and Arte. Through stunning photography, dramatic narrative, meticulous research, innovative animation, and elegant cinematic re-enactments, Providence Pictures crafts complex ideas into compelling, intelligent stories. Their films have won and been honored with nominations for television’s most prestigious awards — six Emmys, two Writers Guild Awards, the AAA Science Journalism Prize, International Archaeological Film Festival, the CINE Golden Eagle Special Jury Award, and many more.